This is not your father’s Archie. Check out the new Riverdale TV show promo from The CW. The edgy, live-action drama premieres on Thursday, January 26, 2017 at 9:00pm ET/PT. Ashleigh Murray, Camila Mendes, Casey Cott, Cole Sprouse, K.J. Apa, Lili Reinhart, Luke Perry, Mädchen Amick, Madelaine Petsch, Marisol Nichols, and Sarah Habel star. 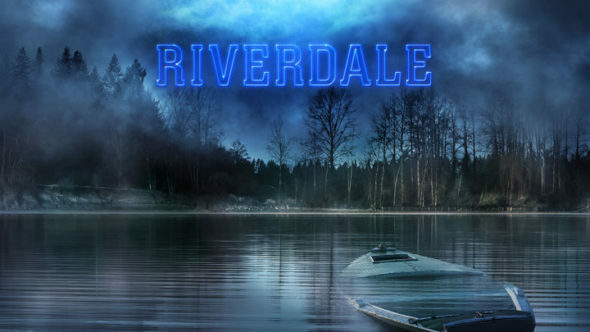 Based on the Archie Comics characters, Riverdale hails from Warner Bros. Television and CBS Television Studios, in association with Berlanti Productions. Roberto Aguirre-Sacasa, Greg Berlanti, Sarah Schechter, and Jon Goldwater executive produce. Don’t miss the Riverdale teaser, after the jump. Watch the Riverdale TV series promo from The CW. This new drama follows the residents of the town, after the death of “golden boy,” Jason Blossom. After Jason’s death, Archie Andrews (Apa) realizes does not want to follow in his father’s footsteps. Instead, he wants to pursue a career in music. That’s complicated, though, because of his past, forbidden relationship with his young music teacher, Ms. Grundy (Habel). Things are not easy in his personal life, either. Archie is on the outs with his best friend, Jughead Jones (Cole Sprouse). Meanwhile, Betty Cooper (Reinhart) has a big crush on Archie, but is not ready to reveal her feelings. New to town, Veronica Lodge (Mendes) feels the chemistry between her and Archie. That said, she is not sure she wants to risk ruining her fledgling friendship with Betty, by acting on her feelings. Cheryl Blossom (Petsch) is described as “Riverdale’s Queen Bee.” Cheryl is happy to instigate trouble with the gang, but it seems she has a secret. Is she hiding something about her twin brother’s death? What do you think? Are you an Archie Comics fan? Did you enjoy the promo? Do you plan to watch the Riverdale TV series premiere on The CW? Tell us.